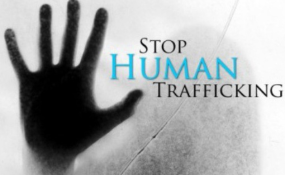 Maputo — Police in the central Mozambican province of Zambezia claim that they have aborted a human trafficking operation involving 17 boys and youths aged between 12 and 20, according to a report in Tuesday's issue of the independent daily "O Pais". The boys were all recruited in Namacurra district and made their way to Namacurra town, where a middleman, Abibo Salvador, would take them on to Beira, supposedly to study at an Islamic school. Salvador protested that this was not human trafficking, because the parents of the boys had consented. Once in Beira, they would live in a boarding home in Esturro neighbourhood which is run by the Faisal Medina mosque. This mosque, Salvador said, is managed by citizens of Pakistani origin. "The children were really going to study in Beira", he insisted. "The parents agreed with the idea that they should go there after talking with two white men and two black men who went to Namacurra with the information. It's nothing to do with trafficking". This is not the first time alleged human trafficking has been discovered in Namacurra. Last year 27 fishermen, recruited in the northern city of Pemba, were intercepted in Namacurra, on their way to Beira. The police sent them back to Pemba. The spokesperson for the Zambezia Provincial Police Command, Sinder Lonzo, urged the public to take great care with people making false promises. He believed such situations were linked to poverty, which persuades parents to send their children away without asking many questions about their destination. Certainly the Faisal Medina mosque is not part of the Mozambican education system, and is not recognised by leaders of genuine Islamic organisations. The President of the Islamic Community of Mozambique, Abdul Rachid, strongly criticised the government for allowing foreign citizens to open mosques, particularly in Beira. Such mosques, he said, should not be allowed to accommodate children, since they do not have decent boarding conditions. "Many of them accommodate 50 or 60 children in inhuman conditions, and do not even provide them with good food", said Rachid. "The managers of these madrassas (Koranic schools) live off donations they obtain because of the children". He feared that children taken to these madrassas will have no future. "They won't learn any profession, and they're going to suffer", he said. "So I encourage the authorities to investigate this case". Rachid added that there is no justification for foreigners coming to Mozambique, opening mosques and operating without any government authorisation.